The California Towhee is native to the United States and Mexico. This is a terrestrial bird that has a range of nearly 400,000 square kilometers. The global population of the California Towhee is believed to be nearing 5 million individual birds. As a result of its fairly large range and population, the California Towhee has been downgraded from a previous rating of Lower Risk to a current rating of Least Concern. California Towhee: Large sparrow, uniform brown-gray body, faintly streaked underparts, buff throat bordered with dark streaks. Tail is long with cinnamon-brown undertail coverts. Pink-brown legs and feet. Short flights with rapid beating wing strokes alternating with wings pulled briefly to sides. California Towhee: This species is a resident in coastal areas and foothill chaparral habitats ranging from southern Oregon, along much western California, and throughout Baja California. Its other preferred habitats include shady underbrush, open woods, pinyon-juniper woodlands, and suburban gardens. California Towhees are highly territorial and will often battle their own reflections in windows or other reflective surfaces. First named as a separate species in 1839, they were combined with Canyon Towhee in 1886. Studies of their mitochondrial DNA has recently resulted in them being considered a full species once again. They forage on the ground, scuffing the dirt with both feet at once in a fast, hopping motion. A group of towhees are collectively known as a "tangle" and a "teapot" of towhees. Most of the small birds such as the finches, wood-warblers, and sparrows are members of the one hundred and forty-two families found in the largest taxonomic order of birds; the PASSERIFORMES (pronounced pas-ser-i-FOR-meez). 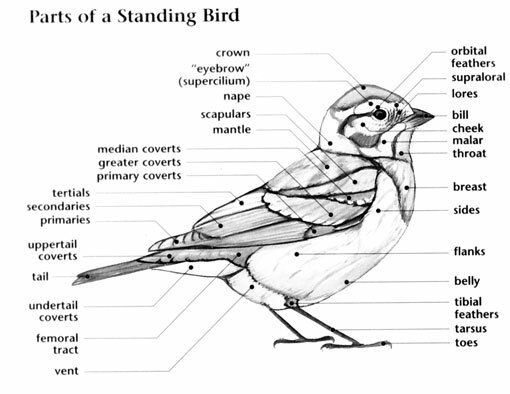 The New World Sparrows and related birds are placed in the passerellidae (pronounced pass-ur-EL-ih-dee), a group of one hundred and thirty species in twenty-six genera only found in the New World. Eighty-two species of New World Sparrows and Towhees in twenty-six genera are found in North America. Members of this family are known for their terrestrial behavior, cheery songs, and in the case of sparrows, challenges to their identification due to similarities in appearance of several species. Dark-eyed Juncos and various other species are also well known visitors to feeders during the winter months. Members of the passerellidae are small, plump birds with short, finch-like bills adapted to cracking open seeds. Their wings are generally short and their tails and legs average in length. In general, bright colors are not a hallmark of this family although some species do show patches of bright orange and red-brown. 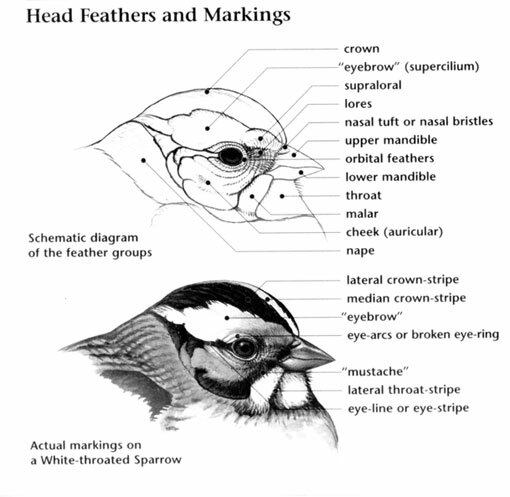 Brown, white, and gray plumages with streaked and spotted patterns are commonplace for the primarily dull colored sparrows. However there are exceptions, such as the boldly patterned plumages of black, white, and tan plumages displayed by the juncos, and the vibrant black and burnt orange of the towhees. At least one species of passerellidae can be found in most every habitat in North America. Most species are birds of weedy fields, scrub, second growth, and non-forest habitats such as desert, grassland, and marsh. The few species adapted to woodlands frequent the thick undergrowth at forest openings and edges. Like other short distance migrants, most members of this family migrate later in fall, earlier in spring, and often show up at feeders during the winter. Some species, such as the Fox Sparrow, practice "leap frog" migration with more northerly populations migrating further south in the winter. Outside of the breeding season, sparrows and other members of this family flock together for protection from predators. All are generally terrestrial birds that forage on the ground for seeds and arthropods. Members of this family are for the most part common birds with plenty of available habitat. 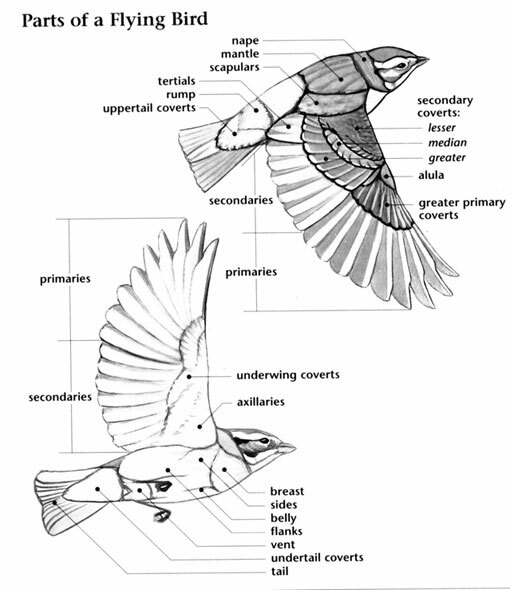 Passerellidae species that have declined and are endangered in many parts of their range are those that require grasslands, such as the Grasshopper and Henslow's Sparrows, and one species, the Bachman's Sparrow, which requires open pine forests with a grassy understory. The Worthen's Sparrow is an enigmatic species historically recorded in the southwestern United States. Rare, little known, and difficult to find in its known Mexican range, this species may be more adapted to grassland habitats that have disappeared or been drastically altered since European settlement. One of the most commonly seen sparrows in the United States, the House Sparrow, is not a member of this family and, as an imported species, is actually more closely related to African weaver finches and European sparrows than North American sparrows. Description: Song is a series of squeaky "chip" notes on the same pitch. Description: Call is a clear, high-pitched "chip". Description: Trilled song mixed with other call notes. Description: Squeal-churrrr call used by pairs when they reunite. Description: Typical song is a series of sharp descending notes. Description: Song is a fast, repeated "chili-chili-chili". Description: Song is a series of 4 to 6 squeaky and repetitive "peek" or "chip" notes. Description: A series of six or seven double syllables "chili-chili-chili-chili-chili-chili." California Towhee: Song is a series of squeaky chips on same pitch, accelerating into a rapid trill; pattern varies according to geographical area. Call is a sharp "chink" or thin "tseeee."